IMPORTANT: You only have 30-days after you obtain your Physician Written Certification to register with the Arkansas Department of Health! If you have already obtained your Physician Written Certification, all you need to do now is register with the Arkansas Department of Health. If you’re looking for a doctor, use our doctor locator. You can CLICK HERE to complete the process. 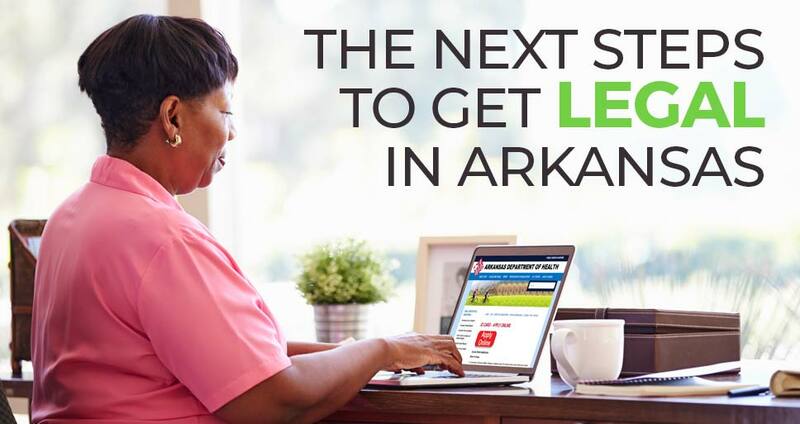 This link will take you directly to the Arkansas Department of Health.